Third in world sidecar championship. Runner up in Battle of Britain British championship. Debut at Isle of Man TT races. Third FIM World Superside championship. Fifth FIM World Superside championship. 13th FIM Superside world championship. MROYokohamaF1 British Sidecar Championship – 2nd place in overall standings. 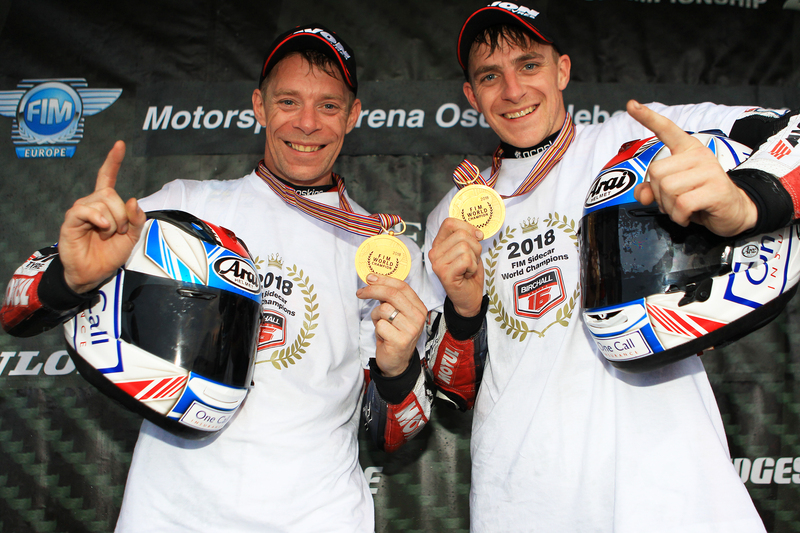 Second place in overall standings – MRO Yokohama F1 British Sidecar Championship. Eastern Airways Sidecar championship – fourth place at Assen (Netherlands). 350cc British Sidecar Championship – 1st Place- Darley Moor. F1 British Sidecar Championship – Rookie of the Year . Joint fourth place in overall standings (driver) MRO British Sidecar championship. Rookie of the year award – F1 British Sidecar championship. Consecutive top three finishes in overall standings (passenger) F1 British Championship.